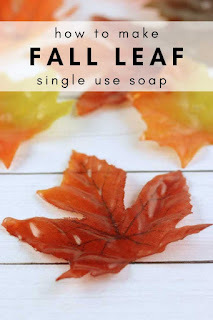 Learn how to make fall single use soap leaves for travel or the guest bath. About four years ago, I suddenly developed eczema on my hand. I couldn't figure out why, after more than 30 years, I would have eczema. After some trial and error, I discovered that most soaps in the big dispensers in the stores were what was causing it. If I stopped using the soap, it would heal in a few weeks. As soon as I would use the soap, it was back. I can't not wash my hands in public, and I don't want a liquid soap spilling or a bar getting slimy in my purse. So I started making soap petals like I shared here last year. I change the scent each time I make them. 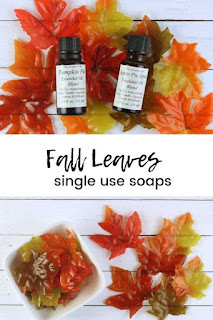 Now that it's fall, I wanted to use fall leaves and fall essential oil blends. These single use soaps are perfect for travel since they don't spill. They are also really cute in a dish in a guest bath or for decoration. Normally I'm not an advocate for single use anything, but sometimes it's necessary. My eczema gets so bad when I use soap in public that my skin splits and bleeds, so I have to bring my own soap. I don't have the luxury of a guest bath. I live in a farmhouse that was built before indoor plumbing was a thing, so someone had to create space for the lone bath that we have. I keep a bar of soap in the bathroom for us to use. I keep liquid soap or soap petals for guests. I'm a bit of a germaphobe, and I don't like using bars of soap that other people have used, so I don't expect my guests to either. 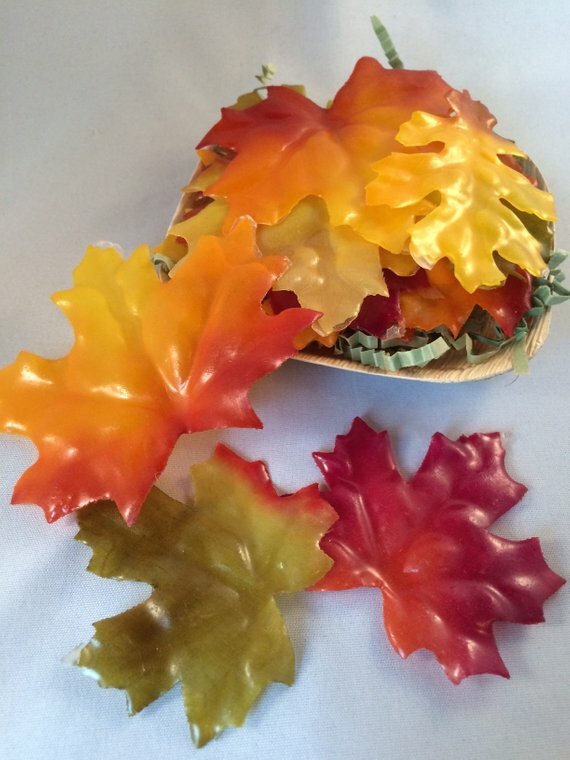 Depending on the size of your leaves, this will make about 40 fall leaf single use soaps. You can melt more soap if you want, but be sure to use 1 teaspoon essential oils per pound of soap. 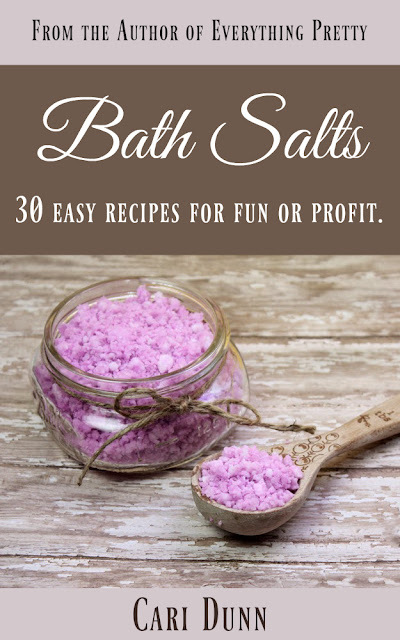 You'll need clear melt and pour soap. Most clear varieties don't have any additives, but I don't even worry about adding an oil or anything because I only use these when I'm out, so I'm not using them all the time. If for some reason you do want to add a carrier oil, you can add 1 tablespoon per pound. 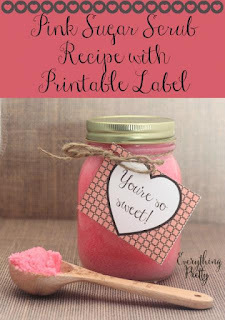 I melted 4 ounces, so for this recipe you could add 1/4 tablespoon or less. I recommend sweet almond oil because it's a great all purpose carrier oil for the skin. 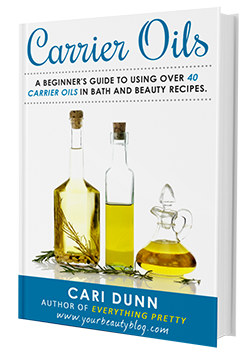 Learn more about the different oils in my book Carrier Oils. Since it's fall, I wanted to use fall essential oil blends. I made two batches, so I used Apple Pie Spice and Pumpkin Pie Spice blends. They just released a four pack of holiday essential oil blends. It has Apple Pie Spice, Pumpkin Pie Spice, Gingerbread, and Candy Cane. 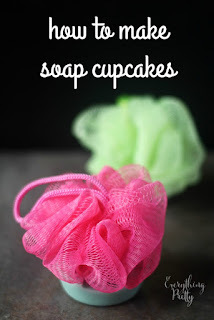 You can use any silk flower or leaf for these cute single use soaps. I don't remember where I got mine because I got them to make last year and didn't get a chance to make them. You can get a pack of 200 on Amazon for a decent price. What you don't use, you can use to decorate your home for fall. Weigh 4 ounces of soap using a digital scale. Cut soap into small pieces and microwave on high for 30 seconds. Stir and reheat until melted, stir after every 30 seconds. Let cool to 185 degrees and add the essential oils. If you add the essential oils when the soap is over 190 degrees, they will burn off and won't smell as strong. I've started using a laser thermometer to check the temperature on my soap because it's a lot easier to use than a traditional thermometer. Push a pin through the middle of a silk fall leaf. You want the leaf near the head of the pin but not touching it because soap will clump there if the head of the pin touches the leaf. Hold the end of the pin and carefully dip it into the soap. The soap is hot, but it shouldn't burn if it touches your skin. Use caution so you don't burn yourself. After the leaf is fully dipped, hold it over the soap so the excess soap drips off. Then lightly tap the side of the pin or twirl the pin slightly to get the excess soap off. Stick the pin into the styrofoam to cool. Be careful the leaf doesn't touch the styrofoam or the soap will clump. When the soap is set up, you can remove the pin. I do about 15 of them, then remove the pin so they lie flat, and then reuse the pins to make more. There will be a small hole in the leaf. I just rub my fingers over it to make it less noticeable. You'll need to work fairly quick because the sold will start to set up. When the soap sets up, it will get clumpy and not want to drip off the leaf. If it sets up, just microwave it for 10 to 15 seconds until it is melted again. I melted four ounces of soap and made 40 fall leaves. That's just an estimate because it depends on the size of the leaf, but it gives you an idea of how much soap to melt. If you have soap left over, pour it in a mold and use it as soap or save it for the next batch. These cute single use soaps are great for travel. I put mine in a small tin or a baggie to carry with me. Then I always have soap, and I don't have to worry about anything spilling in my purse. 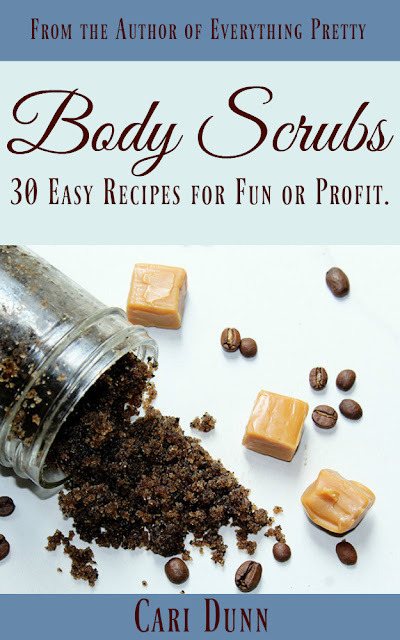 Don't want to DIY these single use soaps? 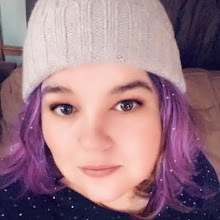 Buy them handmade on Etsy. 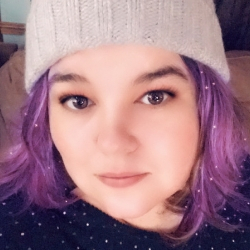 Want to get notified of new posts? 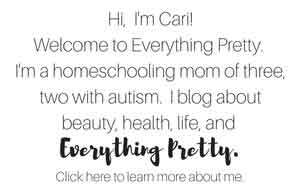 Sign up for my newsletter and only get the posts that you want.